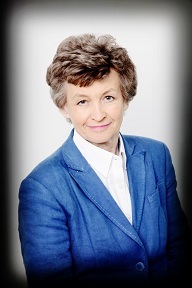 Ruth Lea CBE has been Arbuthnot Banking Group’s Economic Adviser since 2007 and was an Independent Non-Executive Director from 2005-2016. Economic insight and financial comment related to the ever-changing financial landscape and the economic world at large. World growth was downgraded to 3.3% for 2019 (3.5% in January), but growth was still expected to pick up to 3.6% in 2020. The IMF commented that such a recovery was “precarious” and risks remained “tilted to the downside”. US growth was expected to be 2.3% for 2019 (2.5% in January), slowing to 1.9% in 2020 (1.8% in January), reflecting the fading effects of President Trump’s fiscal boost. Growth in the Eurozone was expected to be a disappointing 1.3% in 2019 (1.6% in January, 1.9% in October), before picking up to 1.5% in 2020 (1.7% in January). There were especially sharp downward revisions to the growth projections for 2019 for Germany (down to 0.8% from 1.3% in January, 1.9% in October) and Italy (down to 0.1% from 0.6% in January, 1.0% in October). The IMF downgraded UK growth to 1.2% for 2019 (1.5% in January and October) and 1.4% for 2020 (1.6% in January). China’s growth slowed in 2018 to 6.6% (from 6.9% in 2017) following “a combination of needed regulatory tightening to rein in shadow banking and an increase in trade tensions with the USA”. It is expected to be 6.3% in 2019 and 6.1% in 2020. Industrial production (26% of GDP, compared with 14% of GDP in the UK) fell 0.4% (MOM) in February, to be 2.0% down (YOY). Manufacturing new orders dropped by 4.2% (MOM) in February, following a 2.1% (MOM) decline in January. The February fall overwhelmingly reflected weaker overseas orders, with domestic orders slipping by just 1.6% (MOM), whilst foreign orders were 6.0% (MOM) down. Exports did fall in February but so did imports. Moreover, exports have held up reasonably well over the last 12 months, despite some slowdown in export markets. Markit surveys indicated that manufacturing output (23% of GDP) was declining, but construction (5% of GDP) and services (68% of GDP) were growing. The economy appears to be holding up fairly well. GDP rose by 0.3% (QOQ) in the three months to February, to be 1.6% higher (YOY). The trade (goods and services) deficit widened in the three months to February, acting as a drag on growth. At the emergency summit of EU leaders on 10 April, the UK and EU27 agreed to a further extension of Article 50 negotiations, with the end date of 31 October 2019. If a “deal” is ratified in the meantime, the extension will end. The deficit on the current account of the balance of payments deteriorated in 2018, with the deficits on trade, primary income and secondary all worsening in 2018, after some overall improvement in 2017. The worsening in the trade deficit in 2018 mainly reflected a fall in the services surplus, but the goods deficit increased further. Looking at longer-term trends for the current account, the trade deficit has been relatively “stable” in recent years, as the increases in the goods deficit have been largely offset by increases in the services surplus. The primary income deficit (mainly net investment income), however, showed a sharped deterioration in the mid-2010s, partly reflecting poorer rates of return on UK investments abroad. There has been a fairly steady worsening in the secondary income deficit (transfers) in recent years. The ONS confirmed that GDP increased by 0.2% (QOQ) in 2018Q4 and by 1.4% (YOY) in 2018. Net trade was a drag on GDP growth in 2018. Retail sales grew by 0.7% (QOQ) in the three months to February. The Bank of England’s Agents report (March) concluded that activity had been “softening”. They also concluded that two-thirds of their contacts were preparing for a No Deal Brexit. Half of the remaining third had not taken action because they did not think they would be affected. The Bank reported that the growth of unsecured consumer credit eased further in February, to 6.3% (YOY). The labour market remains robust, with strong employment growth, falling unemployment and near-record vacancies. Annual earnings growth continues to firm. CP inflation was 1.9% in February, under the Bank’s 2% target, whilst there were modest increases in the PPI inflation indicators. The annual increase in house prices eased further in January, to 1.7%. London house prices were 1.6% (YOY) lower. The public finances continue to improve. Public borrowing so far in FY2018 (April-February) was £23.1bn, compared with £41.0bn in FY2017 (April-February). 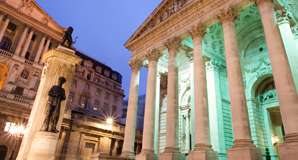 The Bank of England left monetary policy unchanged at their March meeting. The Fed left the fed funds rate unchanged at their March meeting, projecting no interest rate increases for 2019 (in December they had projected two 0.25% rises). 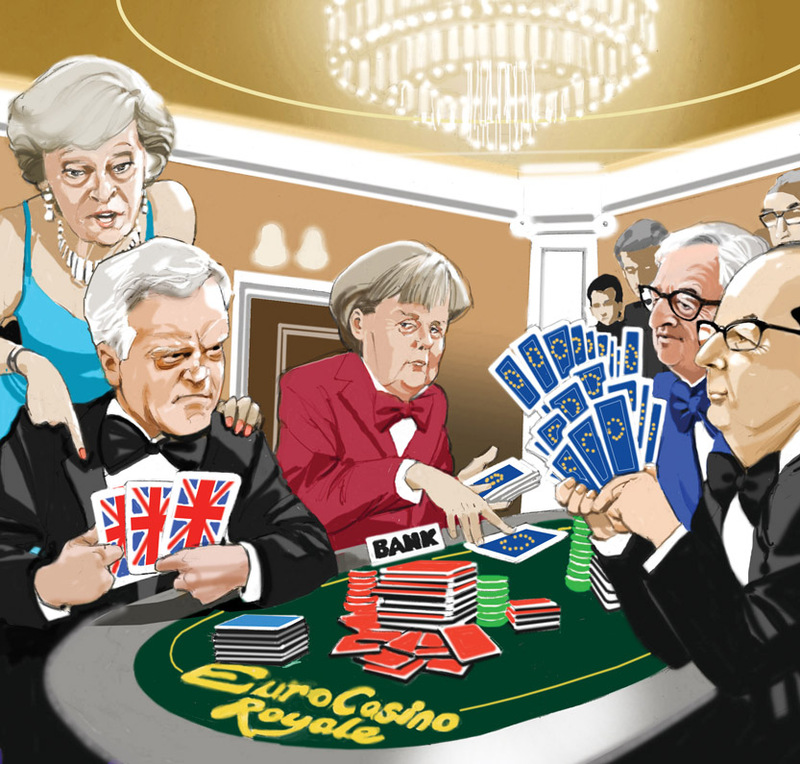 At the European Summit of 21-22 March, the EU offered to delay Brexit (by extending the Article 50 negotiations) until 22 May, if the “deal” was approved by the Commons, or until 12 April, if the “deal” was not approved. The originally agreed date for Brexit of 29 March 2019 was subsequently postponed. The Government lost the “meaningful vote” on the Withdrawal Agreement (the EU “deal” excluding the Political Declaration), on 29 March 2019. Ruth Lea said, “The deterioration in the current account deficit, in general, and in the trade deficit, in particular, in 2018 is disappointing. The trade balance acted, therefore, as a drag on GDP growth last year. It is all the more disappointing, that the goods deficit continues to increase despite the sharp depreciation of the currency in 2016 and the subsequent boost to competitiveness”. Public sector net borrowing (PSNB-ex, excluding public sector banks) was £1.7bn in March 2019, compared with borrowing of £0.8bn in March 2018 (figure 1). The March 2018 figure was the lowest March borrowing since 2006. Central government receipts in March 2019 increased by 3.1bn (5%) YOY, to £65.1 billion, while total central government expenditure increased by £3.5bn (5.7%) YOY, to £65.7bn. Much of the YOY growth in central government receipts in March 2019 came from Income Tax-related revenue, with PAYE and NICs increasing by £0.8bn and £1.1bn respectively. The PSNB for FY2018 (April 2018 to March 2019) was £24.7bn, compared with £41.8bn for FY2017 (figure 3). This was the lowest annual net borrowing for 17 years (since FY2001). Of this £24.7bn borrowed, £43.7bn was capital spending (or net investment), such as infrastructure, while the cost of the “day-to-day” activities of the public sector (the current budget deficit) was in surplus by £19.0bn. The OBR forecast public borrowing of £22.8bn for FY2018 for the Spring Statement (March 2019). It was, therefore, modestly overshot. Public Sector Net Debt (PSND-ex, excluding public sector banks) was £1,801.0bn at the end of March 2019 (83.1% of GDP), compared with £1,778.9bn (84.6% of GDP) at end-March 2018. The debt/GDP ratio is now falling. Retail sales rose 1.6% (QOQ) in 2019Q1, to be a robust 5.0% higher (YOY) (table 1). All store types except department stores and household goods stores increased in the quantity bought in 2019Q1 compared with 2018Q4. Retail sales increased 1.1% (MOM) in the month of March, with food stores and non-store retailing providing the largest contributions to growth. YOY growth in the quantity bought increased by 6.7% in March 2019, the highest since October 2016, with a range of stores noting that the milder weather this year helped boost sales in comparison with the “Beast from the East” impacting sales in March 2018. In March 2019, online retailing accounted for 18.6% of total retailing, compared with February’s 18.1%. Prices fell 0.8% (MOM) and 0.4% (MOM) in February in non-seasonally adjusted and seasonally adjusted terms respectively. The UK’s four countries continued to show different inflation rates in February: England (+0.4% YOY), Wales (+4.1% YOY), Scotland (-0.2% YOY) and Northern Ireland (+5.5% (2018Q4, YOY)). In England, there was, as always, a significant range across the regions (figure 4). The complete list of annual price changes is: West Midlands (4.1%), North West (4.0%), East Midlands (1.6%), South West (1.2%), East (0.6%), Yorkshire & Humberside (flat), North East (-0.8%), South East (-1.8%), London (-3.8%). The inflation rates for goods and services in March were 1.3% (unchanged) and 2.2% (unchanged) respectively. The core rate inflation (excluding energy, food, alcoholic beverages & tobacco) was unchanged at 1.8%. The Consumer Prices Index (CPI) 12-month rate was 1.9% in March, unchanged from February. The annual rate of inflation for imported materials and fuels was 2.7% (YOY) in March (unchanged, table 4). Imported materials and fuels represent roughly two-thirds of overall materials and fuels (input prices) in terms of index weight. The sterling effective exchange rate index (ERI) appreciated 1.4% (MOM) in March, to be 1.0% higher YOY (table 4). Crude oil prices rose 3.1% (MOM) in March, to be 6.8% higher YOY (table 5). Employment rose by a robust 179,000 (QOQ) in the three months to February to 32.7mn, and was 457,000 higher than a year earlier (table 1 of the ONS’s labour market overview bulletin). This 457,000 annual increase was due entirely to more people working full-time (up 473,000 (YOY) to reach 24.1mn). Part-time working showed a small fall of 15,000 (YOY) to reach 8.6mn. The employment rate (the proportion of people aged from 16 to 64 who were in work) was 76.1%, the joint-highest estimate since comparable estimates began in 1971. The employment rates for men and women were 80.5% and 71.8% respectively (figure 1). The recent increase in the employment rate for women is partly due to ongoing changes to the State Pension age for women resulting in fewer women retiring between the ages of 60 and 65. Unemployment was 1.34mn in the three months to February, 27,000 lower than the previous quarter and 76,000 down YOY (table 1). The unemployment rate (the proportion of the labour force that were unemployed) was 3.9%, compared with 4.2% a year earlier. It has not been lower since November 1974-January 1975. The inactivity rate (the proportion of people aged 16-64 who were economically inactive) was 20.7%, the joint-lowest estimate since comparable estimates began in 1971. Job vacancies remain strong. There were 852,000 job vacancies in the three months to March 2019 (sic), at near-record levels since comparable records began in 2001 (figure 5). The number was unchanged (QOQ) but 32,000 higher (YOY). Average weekly earnings for employees (GB) in nominal terms increased by 3.4% for regular pay (excluding bonuses) and by 3.5% for total pay (including bonuses) in the three months to February (YOY) (table 2). Underlying earnings growth is picking up. The ONS said the latest estimates show that average weekly earnings for employees in GB in real terms (adjusted for price inflation) increased by 1.5% excluding bonuses, and by 1.6% including bonuses, compared with a year earlier. All in all, this report suggests the labour market remains robust. · The goods deficit rose by £6.5bn to £41.4bn in the 3 months to February (£35.0bn in the 3 months to November). Rising imports of unspecified goods (including non-monetary gold), machinery and transport equipment, and chemicals were the main reasons for the widening of the trade in goods deficit in the three months to February 2019. · Within goods, the deficit with EU countries widened by £1.3bn (QOQ) to £24.7bn (table 2). And the deficit with non-EU countries widened by £5.2bn (QOQ) to £16.8bn (table 2). · The services surplus rose by £0.9bn to £27.8bn in the 3 months to February (£26.9bn in the 3 months to November). Removing the effect of inflation, the total trade deficit widened £7.1bn (QOQ) to £12.7bn in the 3 months to February, acting as a drag on constant price GDP growth. · Services sector rose by just 0.1% (MOM), after a 0.3% increase in January, with broad-based, albeit modest, growth across its subsectors. The largest positive contributor to monthly growth was legal activities, which recovered from a fall in January. This was offset by a decline in advertising in February. · Production output picked up by 0.6% (MOM), after an increase of 0.7% in January. Widespread growth led to a 0.9% increase in manufacturing, with 11 out of 13 manufacturing subsectors increasing. Electricity and gas production declined, as warmer than usual temperatures resulted in lower demand. Mining and quarrying also grew. · Construction output was 0.4% higher (MOM), after an increase of 3.5% in January. The main drivers of February’s growth were private housing new work and infrastructure. The monthly growth rates for gross domestic product (GDP) are volatile and therefore should be used with caution and alongside other measures such as the three-month growth rate when looking for indicators of the longer-term trend of the economy. However, they are useful in highlighting one-off changes that can be masked by three-month growth rates. In the three months to February GDP rose 0.3% (QOQ), to be 1.6% higher (YOY) (table GVA2). The services sector was the largest contributor to rolling three-month growth, expanding by 0.4% (QOQ) in the three months to February 2019. The production sector had a small positive contribution, growing by 0.2%. However, the construction sector contracted by 0.6%, resulting in a small negative contribution to GDP growth. The ONS reported that output per hour (their preferred measure of labour productivity) rose by 0.3% (QOQ) in 2018Q4, but was 0.1% lower than a year earlier. The quarterly increase reflected a 0.1% (QOQ) fall in actual hours worked, coupled with a 0.2% quarterly increase in GDP. The decrease in hours worked occurred despite a 0.5% increase in the number of jobs. Output per job decreased 0.3% (QOQ) in 2018Q4, reflecting a 0.5% increase in the number of jobs only partly offset by the 0.2% (QOQ) rise in GDP. It was flat (YOY). Labour productivity, as measured by both output per hour and output per job, remains well below the levels it would have achieved had productivity growth continued at the pre-downturn rate. For the year 2018, output per hour increased 0.5% (YOY), whilst output per job rose 0.3% (YOY). Unit labour costs, a leading indicator of inflation, rose by 3.1% (YOY) in 2018Q4, reflecting a 2.9% increase in labour costs per hour coupled with a 0.1% fall in output per hour (figure 4, rounding errors). The much-followed Markit/CIPS surveys suggested manufacturing was firmer and construction a little firmer in March, whilst services slipped. They were all relatively subdued. · Markit estimated that the surveys indicated that there was “…a stalling of the economy in 2019Q1 (which) will likely turn into a downturn in 2019Q2 unless demand revives suddenly which, given the recent escalation of Brexit uncertainty, seems highly improbable”. · The amount outstanding on unsecured consumer credit grew by 6.3% (YOY) in February, a tad weaker than January’s 6.5% (Money & Credit statistical release, table B). The Bank explained “…the annual growth rate of consumer credit has continued to slow, though more gradually than during 2018H2”. February’s 6.3% annual increase was well below its peak of 10.9% in November 2016. · The amount outstanding on lending secured on dwellings grew by 3.3% (YOY) in February, unchanged from January (table D). But the number of mortgage approvals for house purchase weakened to 64,377 in February, compared with January’s 66,696 (table E). And they were down on the previous six months average (65,537) and well down on the recent peak of nearly 75,000 (January 2014). They were also well down on the monthly data recorded in the years prior to the recession, when mortgage approvals averaged 104,000 (2007), 119,000 (2006) and 100,000 (2005). The number of approvals for re-mortgaging also slipped in February. Net bank lending to non-financial businesses (which includes lending to businesses in the public sector) rose by just £0.9bn in February (table G). The rise reflected higher lending to large businesses, which increased £1.1bn in February. Bank lending to SMEs fell £0.1bn (rounding errors). The growth rate of lending to large businesses was 5.6% (YOY), while the growth rate for SMEs was just 0.2% (YOY). Download Ruth Lea’s latest article from Arbuthnot Latham’s client magazine.